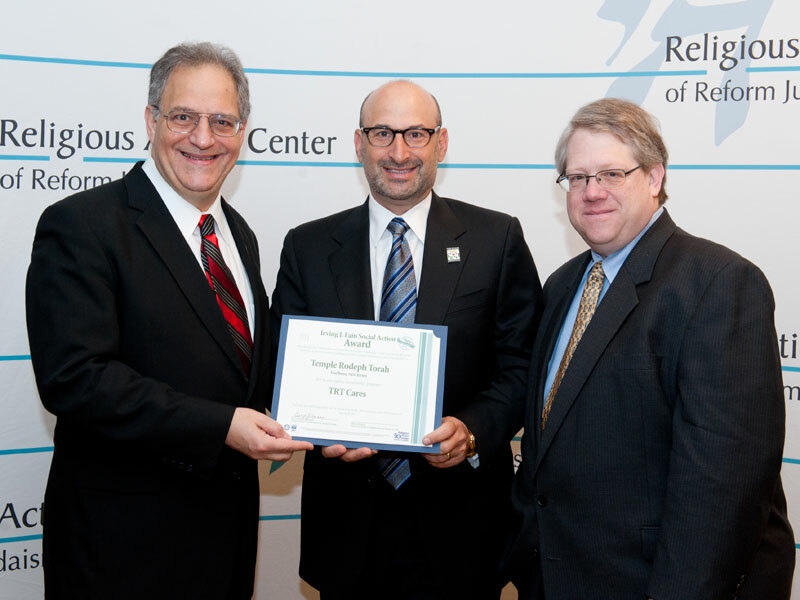 Rabbi Donald Weber of Temple Rodeph Torah, left, and David Levy, TRT CARES chair, center, receive the Fain Award from Mark Pelavin, associate director of the Religious Action Center for Reform Judaism, at the Consultation on Conscience in Washington, DC. When Marlboro resident Marc Kempner lost his job last August, one of the first phone calls he made was to TRT CARES, a nonprofit community outreach program created by Temple Rodeph Torah of Marlboro. The program offers confidential, free services in the legal, financial, mental health, real estate, and career counseling areas. TRT CARES operates from a central hotline, which is answered around the clock every day except Shabbat. Each trained volunteer takes calls on the TRT CARES cell phone, which is passed like a baton from volunteer to volunteer for their two-week shifts. During his job search, Kempner was assigned to volunteer Jeff Golove of Marlboro, a managing director of an executive search firm. During weekly sessions, Golove helped Kempner refine his resume and come up with a job search strategy. Six months after his first call to the hotline, Kempner found a job as a logistics manager, he told NJJN. Kempner is one of hundreds of people who have turned to TRT CARES for help in the more than two years it has been operating. 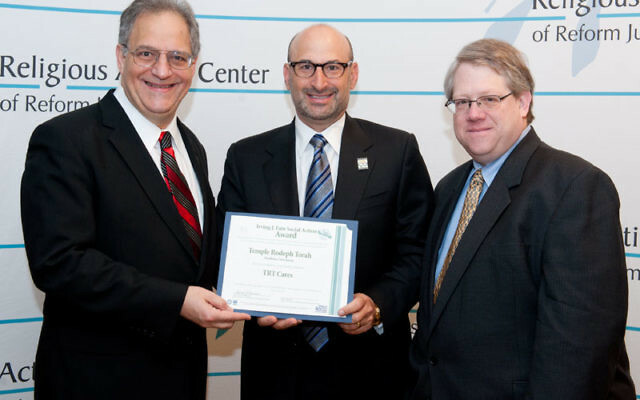 The program recently was awarded the Irving J. Fain Award for Outstanding Synagogue Social Action Programming, the highest honor available to congregations within the Reform movement. The award was presented in Washington, DC, in early May. TRT CARES was launched during a 2008 Rosh Hashana sermon by TRT’s religious leader, Rabbi Donald Weber. By Yom Kippur, about 130 people had come forward to express interest in getting involved. Among them were David Levy of Middletown, who now chairs the program, and Michael Klass of Morganville, who runs the career counseling division. Only six months after an executive board was formed, TRT CARES had successfully closed 137 cases. “Several of the people who were helped are now volunteering with the organization in order to ‘pay it forward,’” Levy said.